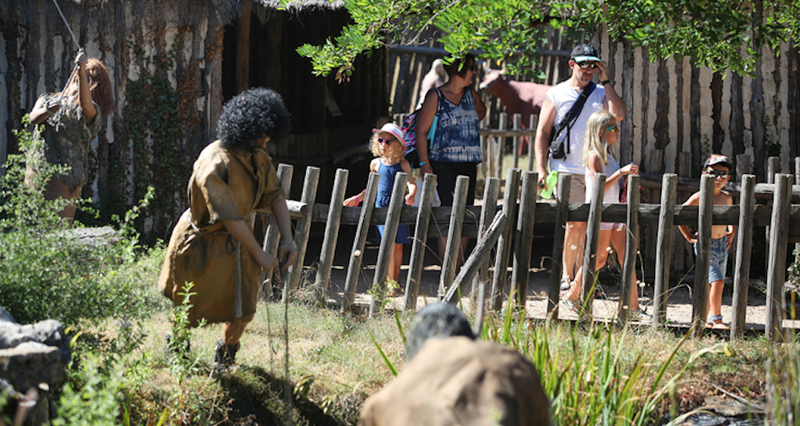 Prehisto Dino Park offers you to plunge into the heart of your past, thanks to life size scenes that depict the evolution of Man from 3 million years ago until 3,500 BC. 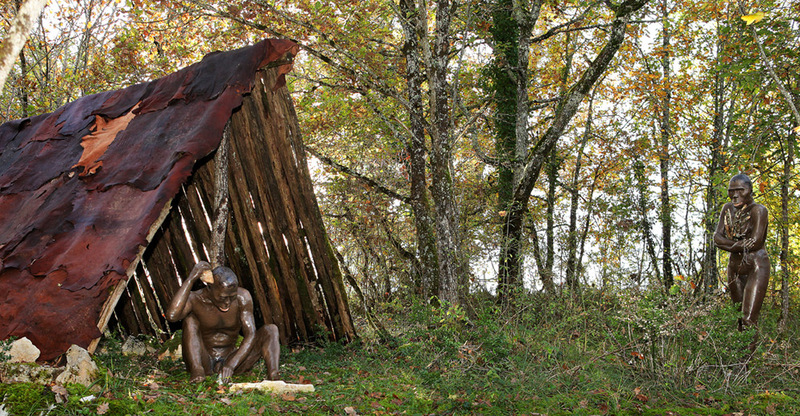 You will leave the company of dinosaurs to be transported in prehistoric times and find yourself facing your ancestors. 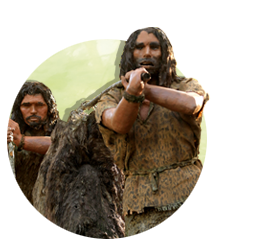 In a natural setting, near a footpath, Australopithecus, Neanderthal man and the famous Cro-Magnon man will reveal their history. 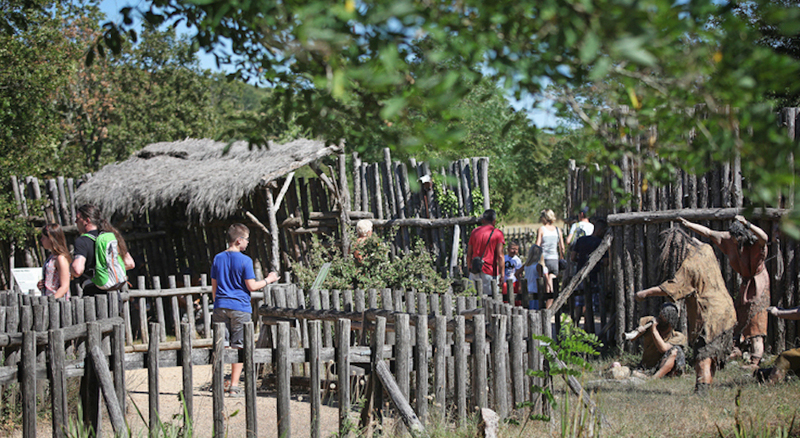 For a perfect illusion, you will continue your journey at the heart of an entirely reconstructed Neolithic village where you will discover the beginnings of our civilisation. 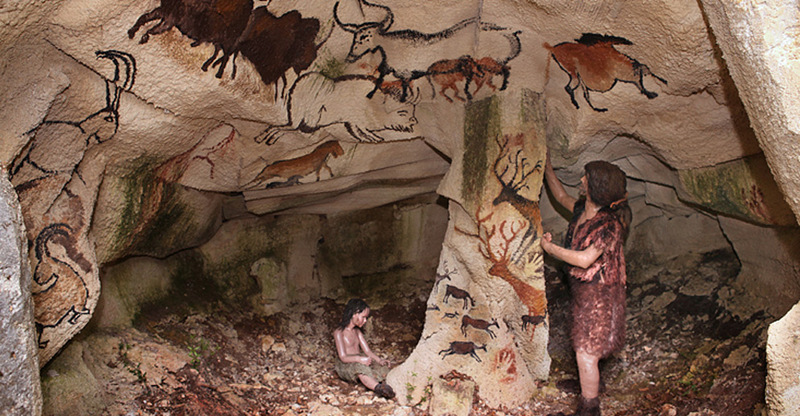 And you will see various scenes of daily life: hunting, rock art, making the first tools or the appearance of funeral rites. 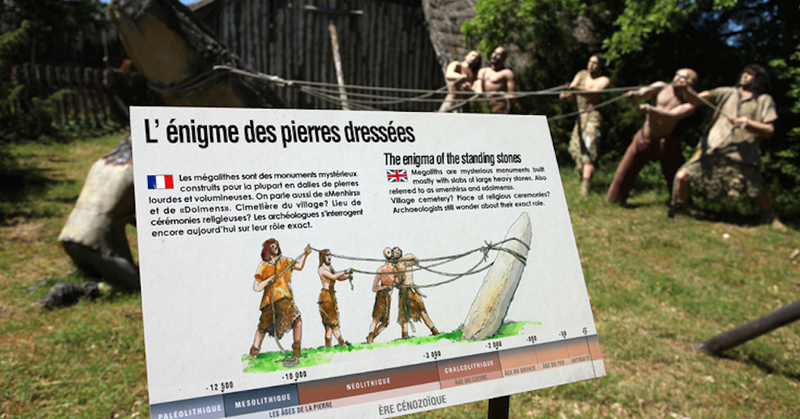 Through the ages, you will identify similarities and differences in our ancestors and understand their changing lifestyles through an illustrated signage, fun and educational.